I used to store my larger boat off-site, but that was a lot of money per month...and I would rather have it there for me to work on and such. Last edited by jrbarnard; 03-03-2019 at 07:07 AM. I think a Lean-to is a good idea. 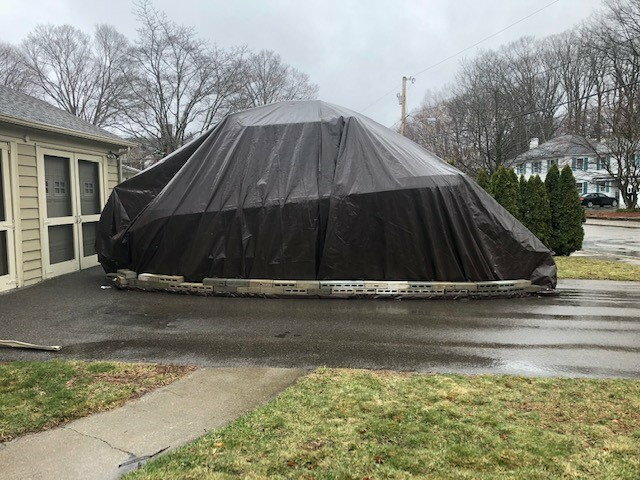 I use multiple tarps and it's problematic. Caving in from snow et.. I've been wondering what other do in New England for the winter. I have a 21' power boat with a hard top. Wish I had a better way to cover it and still have access to do some work in the winter. I'm interested to see what you and others come up with. Not sure if possible, but could you just add an additional section of building to the left side and do an end taller entry door on the end? I remove my hardtop, take about an hour with help or 2 hrs by my self (18 bolts). I put a hoist on the front of garage. Folding tongue on trailer = bigger boat in garage. Let the air out of the trailer tires! I’m guessing that you don’t much impulsive last minute boating. You are just going to be a Bimini top man. T-tops are better but sometimes in life it’s better to take the path of least resistance. Have you thought about installing a taller door at the gable end of your garage? I would love to have a boat barn/garage here in the Northeast, but sadly I don't. So, my boat sits outside all year. However, I have a summer cover and a winter cover for her. What about a T-top that you can fold down? I've seen pictures of them. X2 on taller door on Gable end of building. 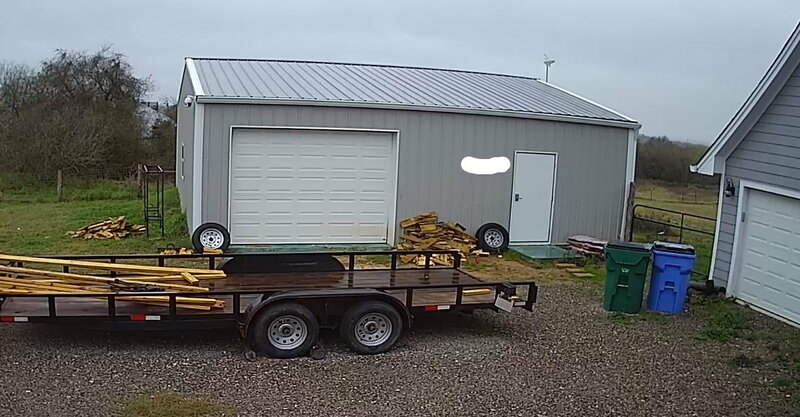 Looks like you have the room for a pole barn on the side. They aren’t crazy expensive. Taking the top off every time is insane. Take it out early April and put it away in November. Here in NE Ohio it get cold. When he said store I took it to mean put away for the winter. 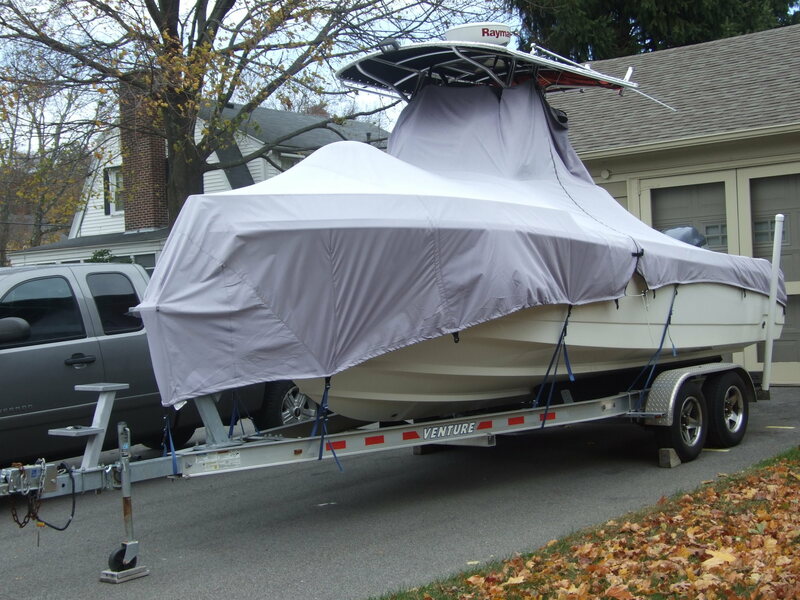 During boating/fishing season it cover in the driveway or on the Lake Erie. Last edited by jfcar; 03-04-2019 at 08:33 AM. I store mine in a cave over the winter.